Winner in Shenzhen, stopped Ding at 100! 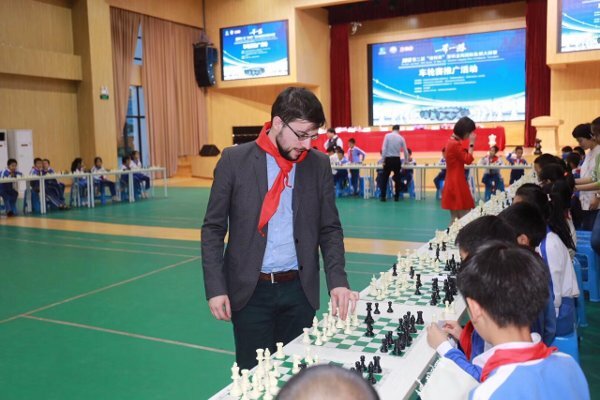 I knew that in order to play this tournament in China, I would have to come to terms with a very long journey… After a 12-hour flight to Hong Kong on November 1, a car sent by the organizers picked me up for what I guessed would be a 2-hour drive towards the Chinese town of Shenzhen. But I didn’t anticipate the customs controls when entering the town, nor did I take into account the trafic jam! 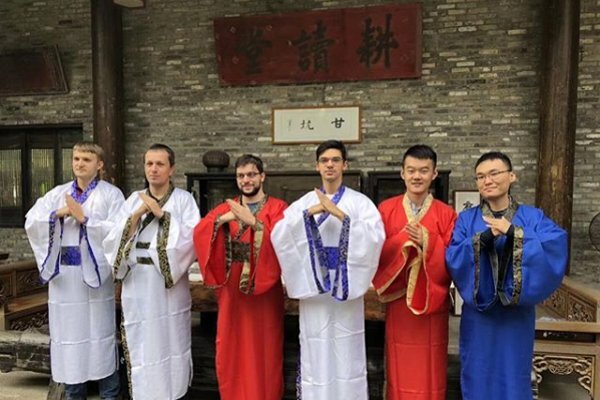 The tournament itself was a double round robin with 6 players, the Top Chinese (Ding Liren and Yu Yangyi), two Top 10 members (Giri and myself), and two other foreigners invited (Wojtaszek and Vitiugov). It took place in the magnificent Shenzhen Castle Hotel. 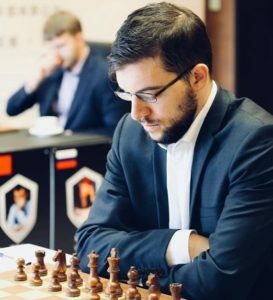 I prepared my round 1 game against Vitiugov by looking at Dreev’s games, as the latter was in Shenzhen as his second, which I had noticed! And Dreev played exactly the same variation that appeared in our game a mere three weeks ago… The surprise effect didn’t really work out! 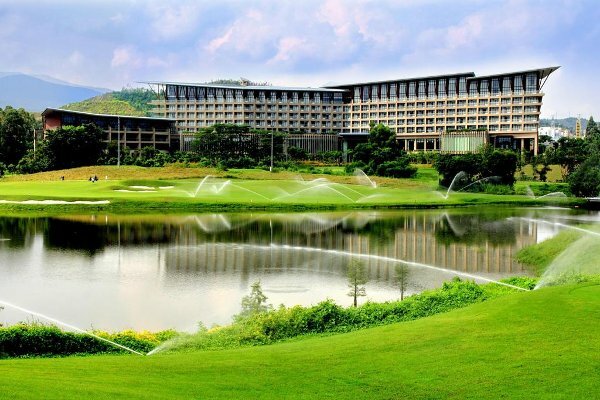 The Shenzhen Castle Hotel, where the tournament took place. Ding-Mvl, to keep Queens on or not? In the 6.g3 Najdorf, which I often faced with black, the Polish tried a new idea which allowed me to enter an ending one pawn up, but it was no picnic to convert. 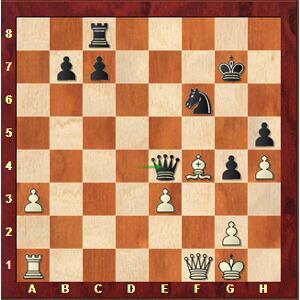 Mvl-Wojtaszek, black Bishops block the King! The Bishop pair stops the King’s path. White would be winning if it could get through the Queenside. Despite twenty more moves of trying, I didn’t succeed. Not a lot to say. The advantage of playing against black’s doubled f pawns in this specific variation of the Russian defense was less significant than I thought. A rather easy draw with black against the English opening. 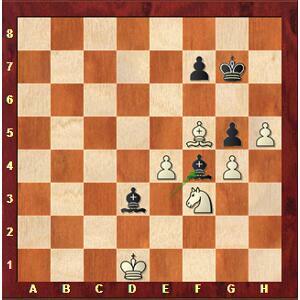 A well-played game I believe, my only mistake being to agree to the draw by perpetual check. 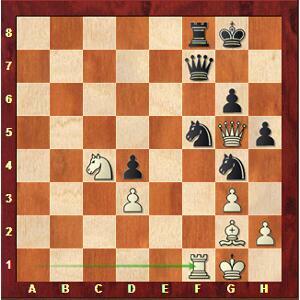 Mvl-Vitiugov, a pity to take the draw! Indeed in the diagrammed position, instead of 31.Na7+, I had the option of 31.f5 Bh7 (31…Bh5 would take away the square from the Knight) 32.Bg4!, and I can continue pressing. Because either black plays 32…h5 33.Bh3 and I don’t have to bother anymore with his …Nh5 counterplay, or he opts for an ultra passive setup. I don’t mean I would have won, but had I seen the idea with 32.Bg4!, I could have played on without risk. The Chinese writing contest… (Photo Gu Xiaobing). A game on which I’m going to dwell more specifically, as it is my only victory, and the reason why I ultimately won the tournament! This game will also remain for posterity as the one which will have broken Ding’s unbeaten streak, exactly at 100! But I had completely forgotten about it during the whole evening of online blitz, systematically opting for my « old » 8.Nbd2 variation! Originally, I thought I would win after 30.Qb3+ Kh8 31.Rf1, but in the process of verifying, I couldn’t find anything after 31…Qxc5 32.Qd3 Rxa3 (32…Qe7 33.Be5!) 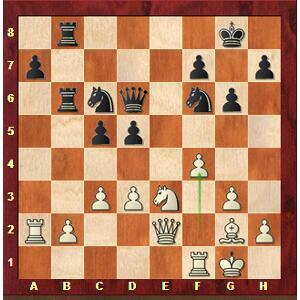 33.Qg6 Qe7, because if 34.Be5? Qxe5 35.Rxf6?? 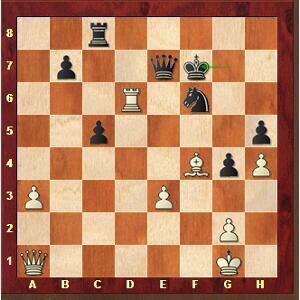 Qxe3+ and it is black who wins. 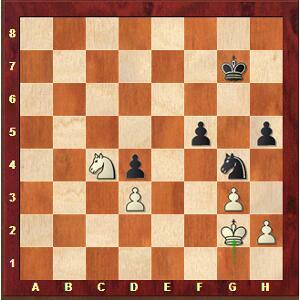 However, at the end of the variation, there was the very cute 34.Ne6! Bxe6 (34…Qxe6 35.Rxf6 Qxe3+ 36.Rf2) 35.Be5 Qg7 36.Rxf6! which was winning on the spot. Having missed this tactic, I opted for 30.Bf4, which is less efficient, as it forced me to anticipate the follow up 30…Qxc5 31.Bb3+ Kg7 32.Be6 Ra4! (32…Ra6 33.Bxc8 Rxc8 34.Qxb7 Rca8 35.Qxa8! 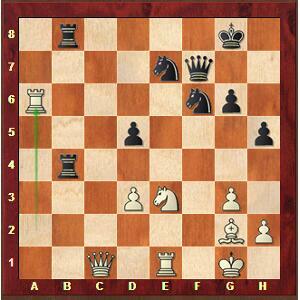 Qxd4 36.exd4 Rxa8 37.Bxc7 with a winning endgame) 33.Qd3!, only move to keep the advantage. After 33…Ra6 34.Bxc8 Rxc8 35.Qxa6 Qxd4 36.Qf1 Qe4, the position is not as dominant for me as it should have been, but it remains incredibly difficult to defend for black. I checked the ending the exchange up after 40.Be5 Ne4 41.Rh6 Qxh4 42.Qf1+ Ke7 43.Rh7+ Ke6 44.Bc7 Rxc7 45.Rxc7 to be sure it was a clear win. 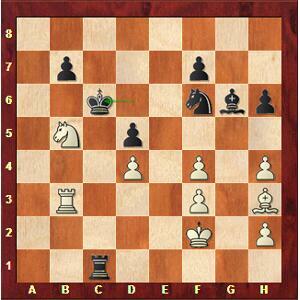 But I completely overlooked in the process the simple 44.Qf7+! Kxe5 45.Rxh5+ Qxh5 46.Qxh5+, and the duo Rook/Knight can’t resist the Queen. Fortunately, the ending didn’t pose any major technical problem, and with the minimum accuracy required, I was able to score my first and only full point in the tournament! 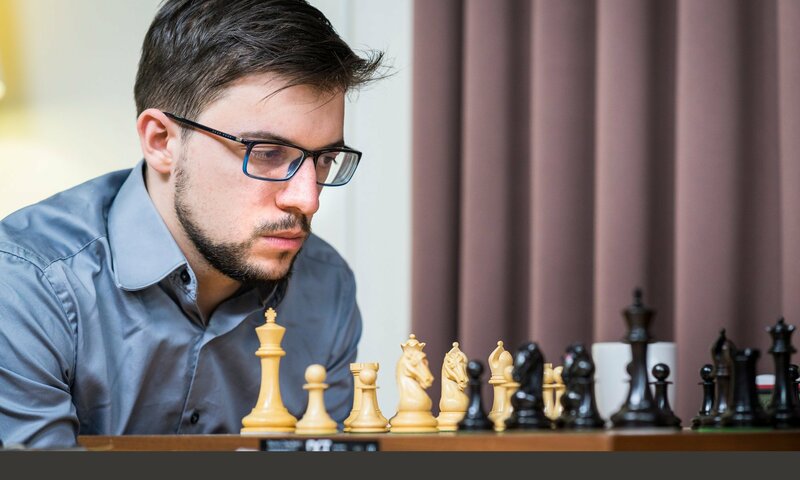 Again an easy draw with black, the Polish player – who was struggling in the tournament – having chosen one of the most solid systems in the g3 Grunfeld. I quickly found myself slightly worse with white, showing off in the London system different move orders, of which I am no specialist. As against Ding, I nevertheless was able to defend rather easily a Rook ending 3 vs 4 on the same wing. Beginning of the decisive game against Yu Yangyi (Photo Gu Xiaobing). I’m going to elaborate on this last game as I quickly was aware, after the Ding-Wojtaszek draw, that if I managed to earn a half point from it, it would guarantee the win of the tournament. Here, I played 21…h5? !, which needs not to be, as black doesn’t really fear 22.g4. 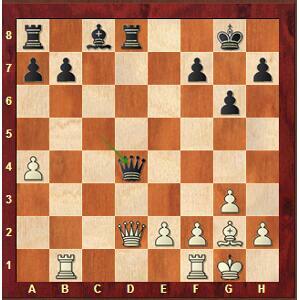 The simplest was probably 21…a6 22.f5 Ne7, as in the game, but without the inclusion of this 21…h5? !, because after 22.Qd2! 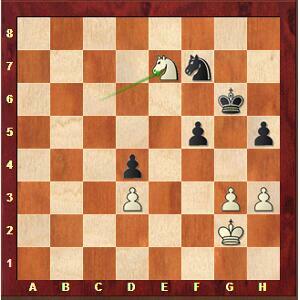 a6 23.f5, my initial intention of closing the Kingside with 23…g5 would have been refuted by 24.Nxd5! Nxd5 25.Qxg5+ followed by 26.f6. 29…d4? 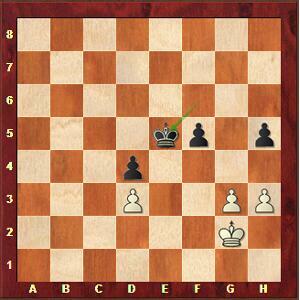 is no good, which I immediately realized after unleashing my move. Indeed, if he had found 30.Nc2! Rb1 (30…Rb2 31.Rf1 Rb1 is all the same) 31.Qxb1 Rxb1 32.Rxb1 Ng4 33.Rf1 Qb3 34.Nxd4 I wouldn’t have been able to take back on d3, as white’s attack would lead to a straightforward mate after 34…Qxd3? 35.Ra8+. 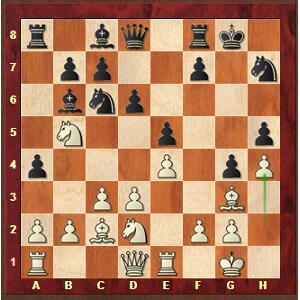 So I breathed a sigh of relief when I saw 30.Nc4?, which gives me time for 30…Ng4! and the worse is behind me. Here, black still needs to be precise. I was not entirely sure of 35…Nge3 36.Ne5! ?, so I chose to exchange Queens first, and then transpose into a pure Knight ending with 35…Qf6 36.Qxf6 Rxf6 37.Be4 Kg7 (the passive 37…Ngh6 didn’t appeal to me) 38.Bxf5 Rxf5 39.Rxf5 gxf5 40.Kg2. This ending looks quite simple and at the beginning, I thought I would find an easy way to clinch the desired draw. But the truth is that this Knight ending is much richer than it seems at first glance, and black has no smooth path to the draw. Here, it was move 40 and I had a difficult decision to make. I know the computer gives 40…Kh6! 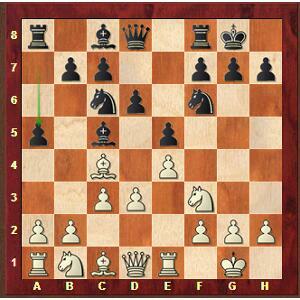 as the cleanest, but I didn’t consider this move, and rather hesitated between 40…Nf6 and 40…Kf6. 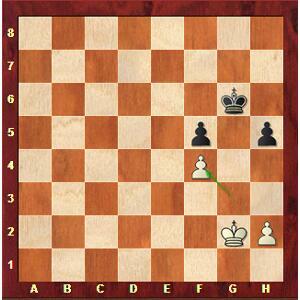 I eventually understood that the first move would lead to a lost pawn ending after the forced sequence 40…Nf6? 41.Nd6 Kg6 42.Nb5 Nd7 43.Nxd4 Ne5 44.Ne2 Nxd3 45.Nf4+ Nxf4 46.gxf4. Indeed, it’s a zugzwang after 46…Kf6 47.Kg3 Kf7 48.Kh4 Kg6 49.h3 Kh6 50.Kg3 Kg6 51.Kf3 Kf6 52.Ke3 Ke6 53.Kd4 Kd6 54.h4!, as well as after 46…h4 47.Kf3 Kf6 48.Ke3 Ke6 49.Kd4 Kd6 50.h3!. It is worth mentionning that in the diagrammed position, black also loses if he gives up his h4 pawn, because of the well known triangulation manoeuver Kf3 Kh5 / Ke2! Kh4 / Kd3 Kh3 / Kd4… But if white’s pawn was on h3 instead, it would then be a draw, as when he crosses square h3 in the above manoeuver, black’s King directly takes the pawn! Therefore, at the beginning of the Knight ending, I made the right choice of 40…Kf6 rather than 40…Nf6?, and after 41.h3, I again had to calculate what another pawn ending would look like in case of 41…Ne5 42.Nxe5 Kxe5. At first thought, I believed it was a draw after 43.Kf3 Kf6 44.Kf4 Kg6 45.Ke5 Kg5 46.Kxd4 f4 47.gxf4+ Kxf4 48.Kc5 h4 49.d4 Kg3 50.d5 Kxh3 51.d6 Kg2 52.d7 h3 53.d8=Q h2 and on the c file, white’s King is one square away from the winning zone. Fortunately, I found out in due time an important detail: instead of 47.gxf4, white inserts the move 47.h4+!, and everything becomes clearer after 47…Kg4 48.gxf4 Kxf4 49.Kc5 Kg4 50.d4 Kxh4 51.d5 Kg3 52.d6 h4 53.d7 h3 54.d8=Q h2 55.Qd5 and wins. So I declined to enter a tricky pawn ending for the second time in a row, and the game went on 41…Nh6 42.Na5 Nf7 43.Nc6 Kg6 44.Ne7+. Here, once again I was facing a difficult decision. 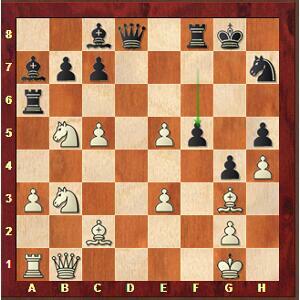 I didn’t play 44…Kg5 as I thought I would be lost after 45.h4+ Kg4 46.Nd5 f4 (only move otherwise 47.Nf6 mate!) 47.Nxf4. 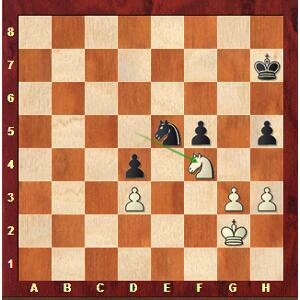 But the computer shows that despite being a pawn up, white can’t progress after 47…Ne5. Neither did I want 44…Kf6 45.Nd5+ Ke5 46.Nf4 h4 47.Ng6+ Kf6 48.Nxh4 Ne5 49.Nf3 Nxd3 50.Nxd4 as I was not sure of this ending being drawn with my pawn on f5. I can see now that tablebases show this is the case! 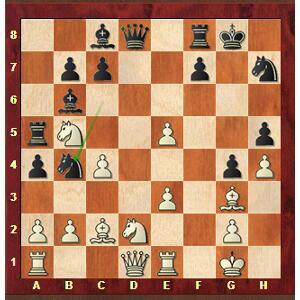 Here, the « normal » move 46…Kh6? would have been answered by 47.h4! with an almost certain win for white, as I would have been facing an unenviable choice between losing h5, or allowing white’s King to overflank on the Queenside via c2-b3-b4. 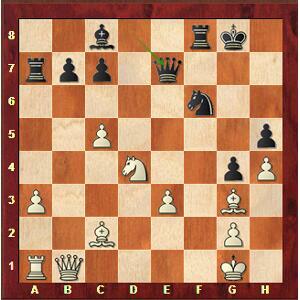 In fact, white’s threat 47.h4 is too strong, and I played the only move 46…h4! 47.gxh4 Kg7, after which white has no more means to transfer the King on the Queenside without conceding a lot of counterplay against both his doubled h pawns! Right after the tournament was over, a simultaneous display against children… with the school’s flag! (Photo Gu Xiaobing). 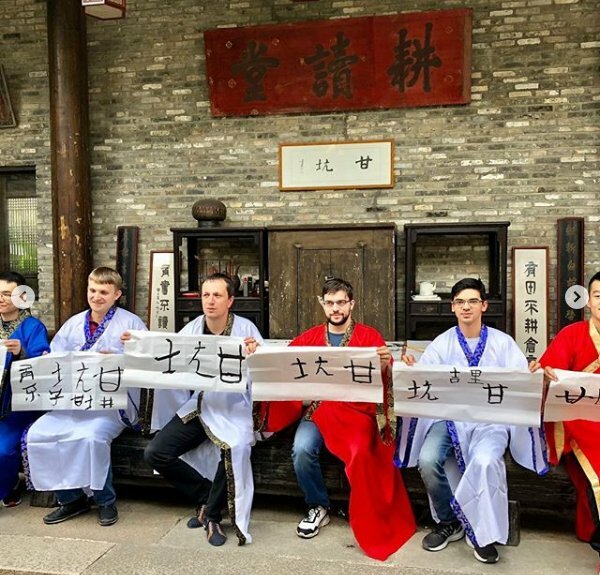 Finally, I won the Shenzen tournament with only one victory (+1, =9, -0), maybe an unique occurrence in chess history! The rules stipulated that the Sonneborn would be used as a tie-breaker, which allowed me to precede Ding Liren and Giri, both in the 5.5/10 group, together with me. Before to leave for the 2018 Grand Chess Tour finals in London on December 9, I will offer an analysis of the Carlsen-Caruana World Championship match, currently still in progress.